In this age of Feluda, Byomkesh, Kakababu being made into brilliant films by equally brilliant directors, Arindam Sil (also in the league) brings in fresh air with Shobor. Shobor made his first screen appearance last year with Ebar Shabor. And this year comes his second film, Eagoler Chokh. Seems that Arindam Sil has longtime plans with Shabor. This might be the reason why he named the second film matching the title of the original story by Shirshendu Mukhopadhyay. Or else he could have named something like, Abar Shabor or Shabor Fire Elo etc. Nevertheless, Eagoler Chokh is a proper textbook thriller, in Bengali. A film of the likes of these has been longtime due in Tollywood. There are roughly two reasons for the popularity and success of the Shobor series. One, the original stories by Shirshendu Mukhopadhyay is not stuck in a specific time, so there need not be any effort to recreate a specific period in production. And secondly, in the stories, preference is always given to the humane relationships more than the crime itself. Exploiting these strengths of a Shobor story to the fullest, the script is woven tightly, there are very few moments in the Eagoler Chokh that you could afford missing. Eagoler Chokh begins again with a chase, and the title credits are embedded with the chase, just like the last film. I like this approach. Series films should have some continuity. And this, I feel, also portrays another side of our protagonist himself. Very formal. 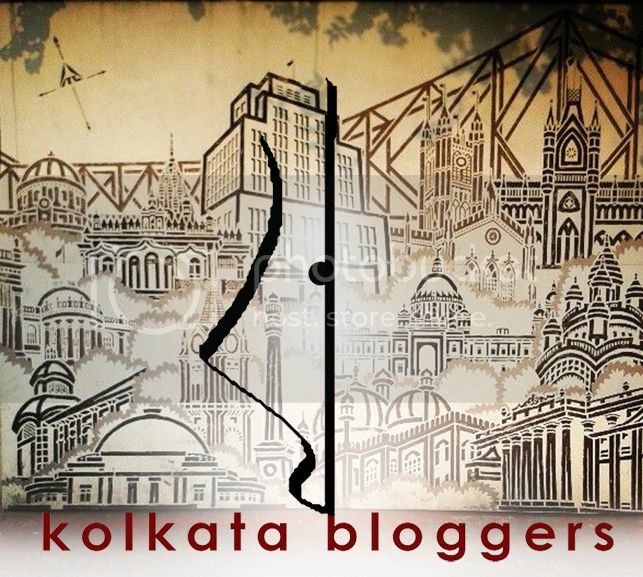 There exists numerous sleuths in Bengali literature. In fact every writer has his/her own Crime Series, but the fact is, there are very few or no private investigators in the real life. Therefore Shobor is rightly placed as a detective at Lalbazar Detective Department. Apart from Shobor (Saswata Chatterjee) & his assistant Nanda (Subhrajeet Dutta), another core character in this movie is Bishan Roy (Anirban Bhattacharya). He is a ladies man, who has been into complex equations with women at different periods of his eventful life. An precisely due to his wayward lifestyle, a mishap takes place in a, otherwise normal looking, rich household. Now, if you haven’t read the original story till now, this is all I am going to disclose about the story to avoid spoilers. Being a bookworm myself, I would suggest you to read the original story (now also available in English) before going in to watch Eagoler Chokh. The cast, apart from Shobor & Nanda, lends a few leads from the previous film. Paayel Sarkar reprises a similar role of a second lover in this film. Apart from them there is Jaya Ahsan playing Bishan’s protective wife and there is Riya Banik playing a role, which I shall refrain from mentioning. Gaurab Chakraborty plays a cop but his character is a additional one to play, no specific need. In the intense story line, there are some moments of relief, mostly offered by Nanda, a proud student of Jagabandhu Bengali Medium School, in an effort to hone his English speaking skills. And there is absolutely nothing to say about the facile acting of Saswata Chaterjee. He has proved time and again that he is a brilliant actor and belong to a different league. Having written so much good about Eagoler Chokh, doesn’t mean that the film is flawless. It has its fair share of flaws. There should have been a bit more clarity about what actually happened on the night of December 31st. Was Shivangi (Jaya) really in Bangalore on that day? If she was, who did the dead drunk Bishan make love to? If it was Nandini (Paayel), how did Shivangi conceive? Confusing… But I guess this is one secret Shobor (Saswata) keeps to himself. You might get some hints if you read the original story, but we’ll never completely know. I’m going with 3½ out of 5 stars for Arindam Sil’s Eagoler Chokh. The portrait of this detective-with-a-heart is something which, I know, you’ll not miss. Published on September 6, 2016. Updated on December 25, 2016.